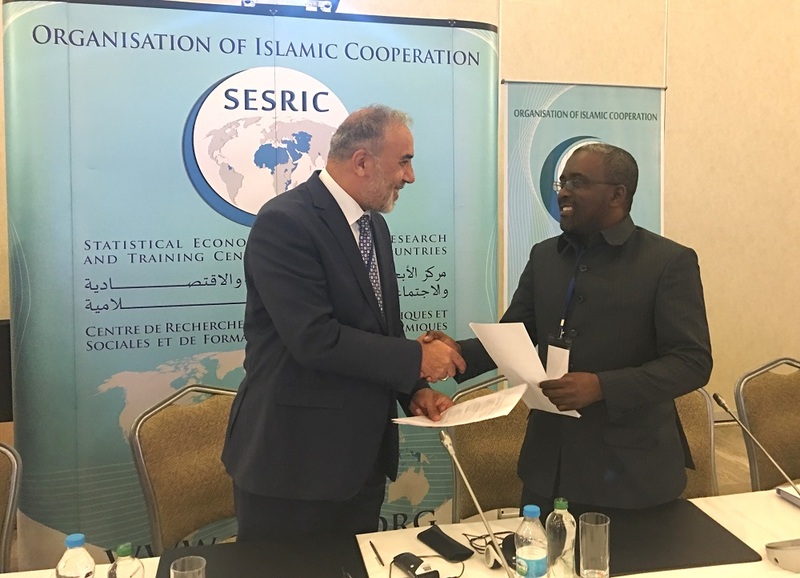 The Statistical, Economic and Social Research and Training Centre for Islamic Countries (SESRIC) and the General Directorate of Statistics and Economic Studies (DGSEE) of Gabonese Republic signed a Memorandum of Agreement (MoA) to facilitate collaboration and cooperation between both institutions within the framework of the project titled “Integration of the ‘Tobacco Questions for Surveys (TQS)’ into the National Surveys in Organization of Islamic Cooperation (OIC) Member States”. The MoA was signed by H.E. Amb. 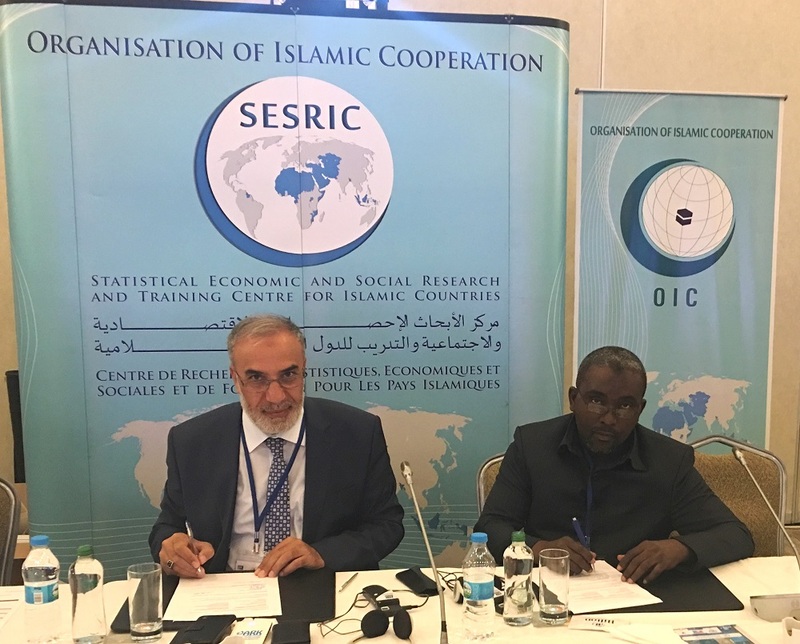 Musa KULAKLIKAYA, Director General of SESRIC, during the Workshop on ‘Tobacco Questions for Surveys (TQS): Data Analysis & Dissemination’ and by Mr. Francis Thierry TIWINOT, Director General of DGSEE of Gabonese Republic. 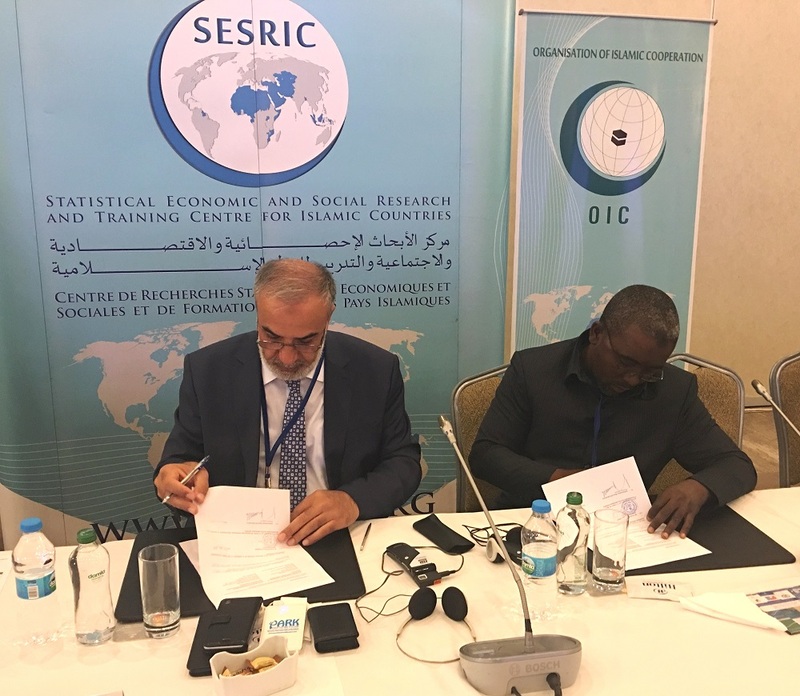 During the implementation period, DGSEE will integrate the TQS into its Demographic and Health Survey (EDSIII-Gabon), to harmonize and standardize the monitoring of key tobacco control indicators for evidence-based policy making and promote sustainability through frequent collection of the tobacco use data.